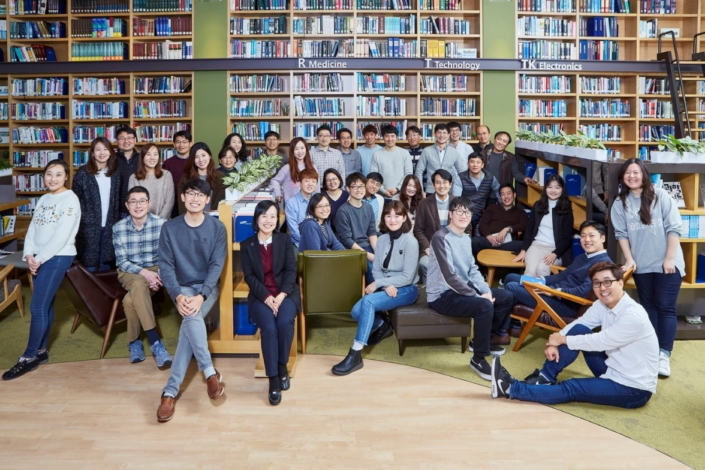 Over the past few years, one of the breakthrough achievements of Samsung researchers has been the development of cadmium-free quantum dot technology, currently utilized in Samsung QLED TVs. While quantum dot had the benefit of delivering superior light expression, the technology posed harm to the environment with toxic cadmium at risk of being released through nanoparticle degradation. Samsung’s quantum dots, however, are cadmium-free, and Samsung is currently the only company that produces cadmium-free (Cd-free) quantum dot displays. 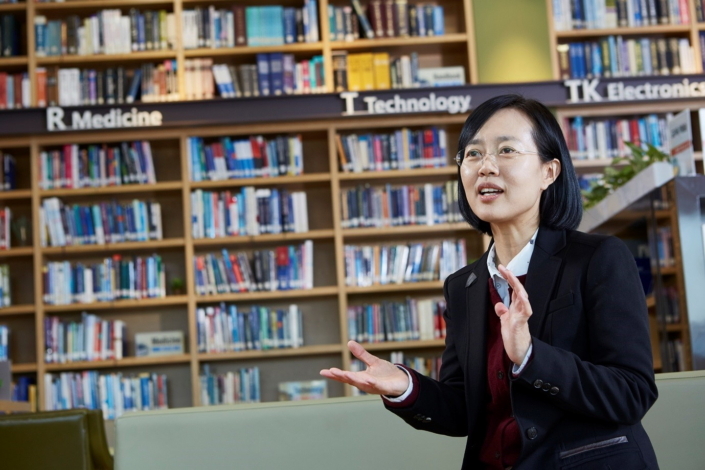 Dr. Jang, who has been involved in the research of Cd-free quantum dot technology for over 15 years, recently shared with Samsung Newsroom the story behind her research into the technology, as well as her thoughts on what’s next for display innovation. Dr. Jang recalled that developing Cd-free quantum dot technology was quite a challenge. While quantum dot was studied widely for its capabilities in absorbing and emitting light, and also used in various lighting devices, its application into other areas was seen as limited as it requires the hazardous heavy metal cadmium. So, what is the next evolution for Samsung TVs? 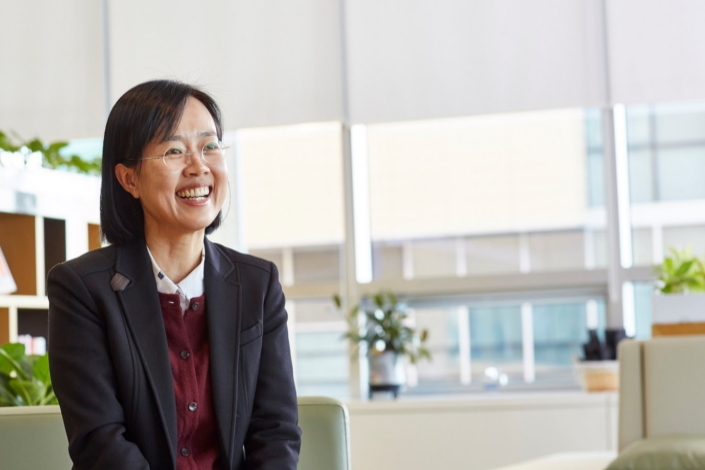 From research to commercialization, Dr. Jang is one of the many talented innovators at Samsung who are helping write the next chapter in display technology. 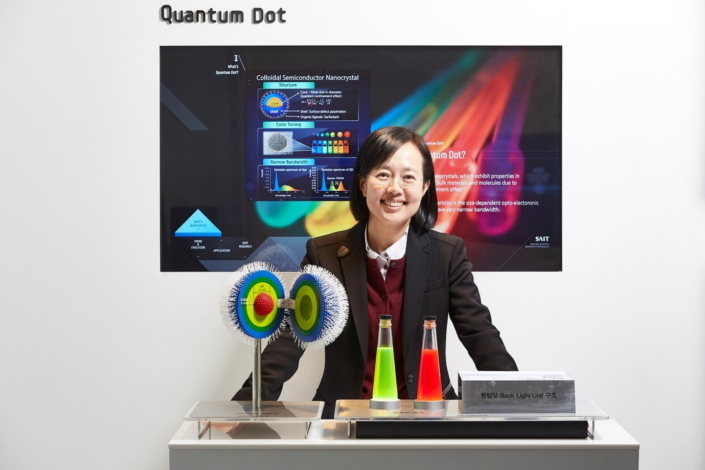 As she continues her work in developing quantum dot’s technological leadership in the field, it will be exciting to see the innovations that arrive next into our living rooms.